Vector witch magic design elements set. Hand drawn, doodle, sketch magician collection. Witchcraft symbols. 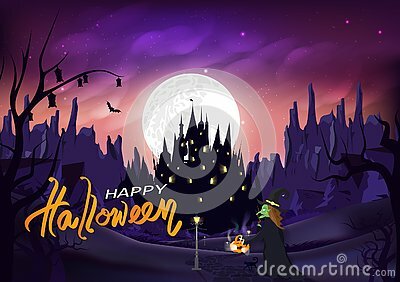 Happy Halloween witch Pumpkin Background Vector pattern and texture. Halloween Flat Design. Young witch in a bright costume for Halloween with a magic wand in hand on a gray background. Witch Hat Glyph Vector Icon, Symbol or Logo. Magic potion pot for witches, halloween cauldron line icon.